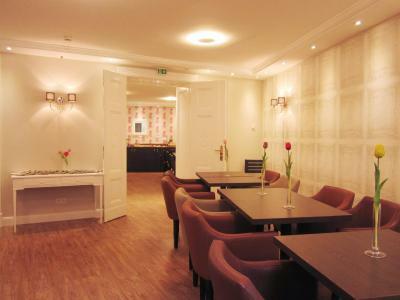 Lock in a great price for REWARI Hotel Berlin – rated 8.3 by recent guests! The room was clean. Location is good: some restaurants near if you want to take lunch, s-line metro is like 10 minutes by walking, clubs area is about 20-30 minutes by walking. 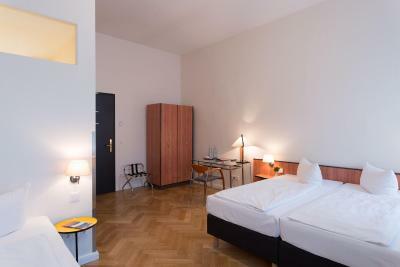 Positive is the location to the Tempodrom and breakfast around the corner. Also supermarkets within 5 min walking. Short distance to Checkpoint charlie for instance. Room was clean. It has a good location. Staff and cleanliness is good. The Rewari was a great place and the staff very accommodating. 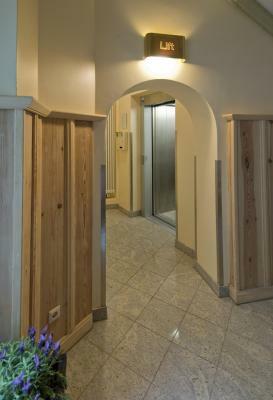 I arrived after hours and using their lockbox and system made getting into my room quite easy. 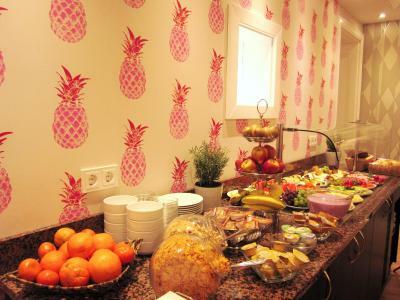 The breakfast was delicious with really good selection for a small hotel. 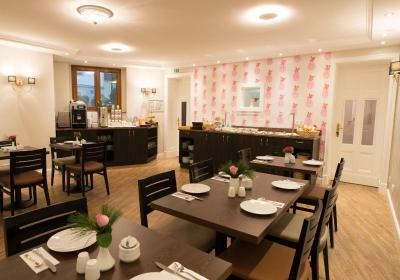 One thing I loved about this hotel is that most guests are Germans and so as a Westerner you can get a real taste for staying IN Berlin. Breakfast buffet quite good - although would have liked the option of some cooked items. Rooms in one half of the building were quite good - the other half needed updating. 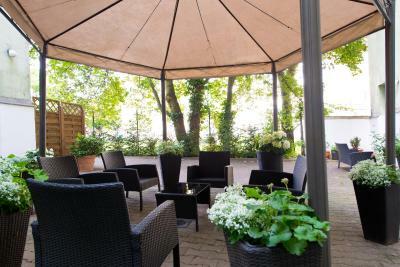 Location excellent for central Berlin sightseeing and visiting other neighbourhoods due to proximity of U-Bahn. The location was good and within walking distance of many sites. We were able to walk to checkpoint Charlie and the wall. The staff at the front desk was friendly. The (only) bus comes straight from central railwaystation, and vice versa. Clean, friendly, nothing to complain about but nothing to write home about, either. I liked the candies they had at the reception. The hotel was very conveniently located for me and if you have business to conduct in the area and aren't particularly exacting about your accomodations this is a solid choice. 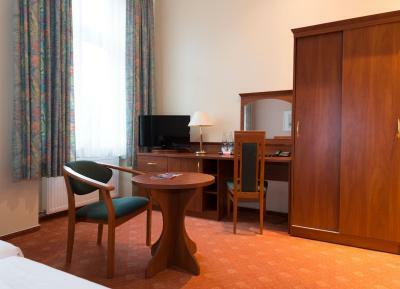 REWARI Hotel Berlin This rating is a reflection of how the property compares to the industry standard when it comes to price, facilities and services available. It's based on a self-evaluation by the property. Use this rating to help choose your stay! 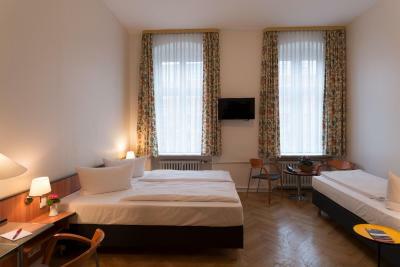 One of our top picks in Berlin.Offering free Wi-Fi, this hotel is near Berlin's former Anhalter Bahnhof train station. 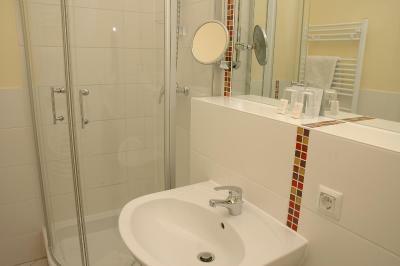 It offers spacious rooms, daily breakfast buffets, and good transport links. 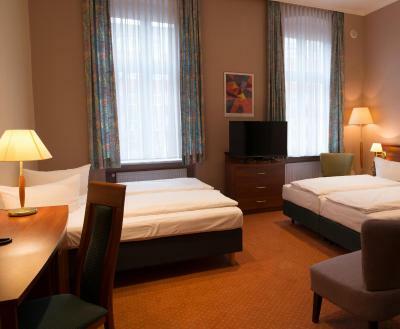 Potsdamer Platz Square is a 15-minute walk away. The reception team can provide information about local restaurants, book theater tickets, and offer sightseeing tips. 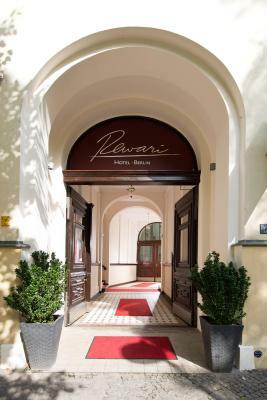 Sights near the REWARI Hotel Berlin include the Jewish Museum and Checkpoint Charlie. 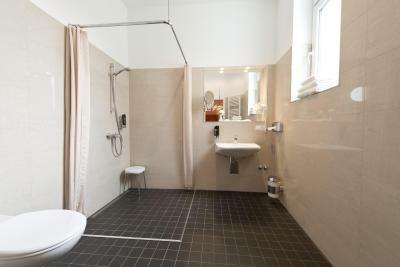 뀐 Located in the top-rated area in Berlin, this property has an excellent location score of 8.6! 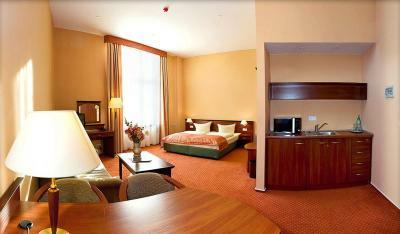 When would you like to stay at REWARI Hotel Berlin? 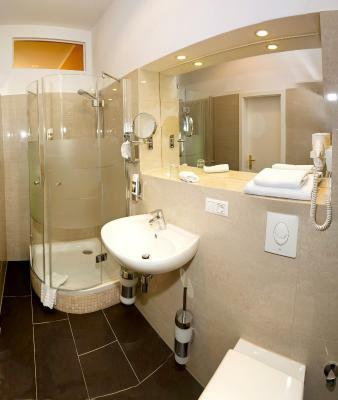 House Rules REWARI Hotel Berlin takes special requests – add in the next step! 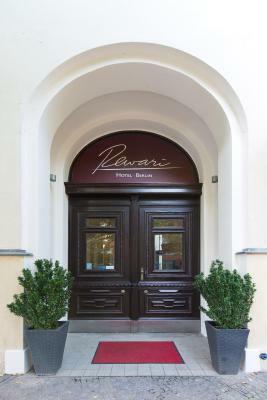 REWARI Hotel Berlin accepts these cards and reserves the right to temporarily hold an amount prior to arrival. 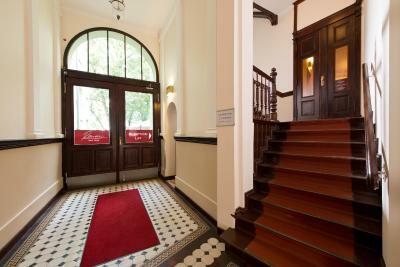 The hotel reception is open daily from 07:00 until 22:00. 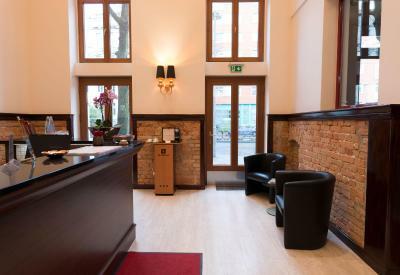 If you expect to arrive outside reception opening hours, you can use the check-in machine. Please contact the hotel in advance for the password. 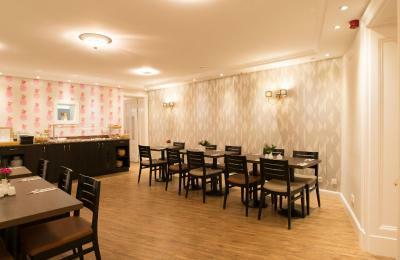 Please note that the hotel does not accept debit cards or prepaid credit cards. 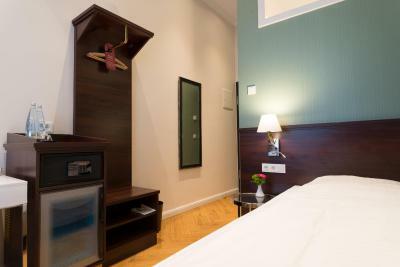 Please inform REWARI Hotel Berlin of your expected arrival time in advance. You can use the Special Requests box when booking, or contact the property directly using the contact details in your confirmation. Room smelled very stale and musty. Breakfast was too small for 10 euros. 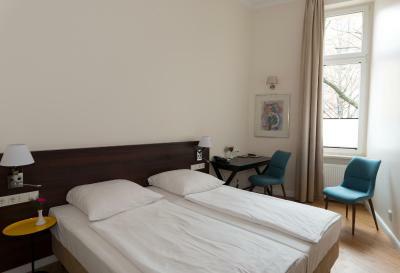 Very clean and quiet room, nice breakfast, fast wifi and perfect location. 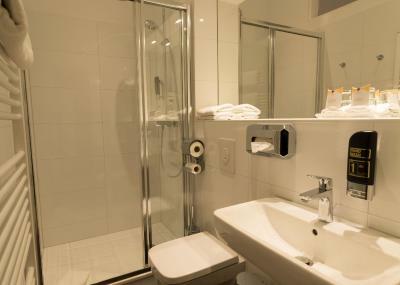 The towels were not clean on the first day (shaven hair on them) - the person at the desk had some difficulties to understand but was very helpful in changing towels once the issue was explained. Very quiet room on the 4th floor. Not in a lively neighborhood, but close enough to some of the main axis / public transport lines. Some rooms can be a bit noisy due to the nearby road - if it's a problem for you, check first. The staff is lovely and will assist if possible. The room was bigger than expected for the price, and the bed was very comfortable. The room I got (404) was very quiet and had a good vibe. Breakfast is excellent and recommended, as there aren't many nice options nearby. All in all, this is a great choice for a budget-conscious traveler. Beds were comfy. Location was good. We didnt have fridge in the room, although he was supposed to be there. Very quiet and calm. Our room has been cleaned very well every day. Nice and pretty standard hotel. 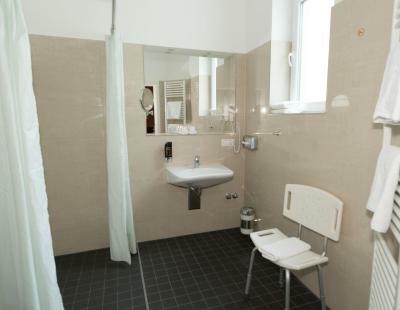 Advantages include friendly staff, spacious rooms, stable WiFi connection. Close to different public transport (bus, subway, s-bahn) stops. If you prefer walking, it’s about 15 minutes to the nearest attraction in the center. Wi-Fi was on and off. I arrived late (after 10 pm) and door/key was arranged with codes. However, there was no explanation how to start the electricity. I asked other guests and phoned the caretaker. She told me that I could put my business card---any card --in the slot. Very unsatisfactory. The hotel should have told me in advance. Also, the safe box was not properly set up and I had to ask the staff to fix it. 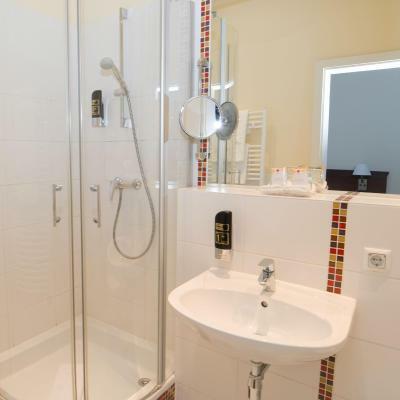 Reception close at 10 p.m. Bathroom without bidet. Breakfast is not very rich. The position. The staff. The silence of the area around the hotel.